Another major cause of discoloration is smoking, which can make your teeth appear yellow. Tooth decay, fillings and tartar build up can also contribute to discoloration. 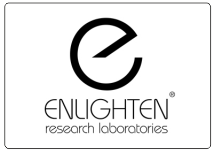 Tooth whitening products can help to lighten your teeth. They usually contain either a chemical called hydrogen peroxide or carbamide peroxide when these chemicals break down, oxygen gets into the hard outer surface (enamel) of your teeth, which whitens them. The whitening effects can last from a few months up to three years. This varies from person to person. 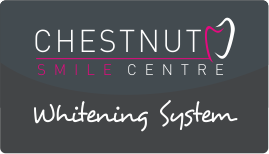 Here at Chestnut Smile Centre we offer 3 different tooth whitening systems. these different tooth whitening systems.